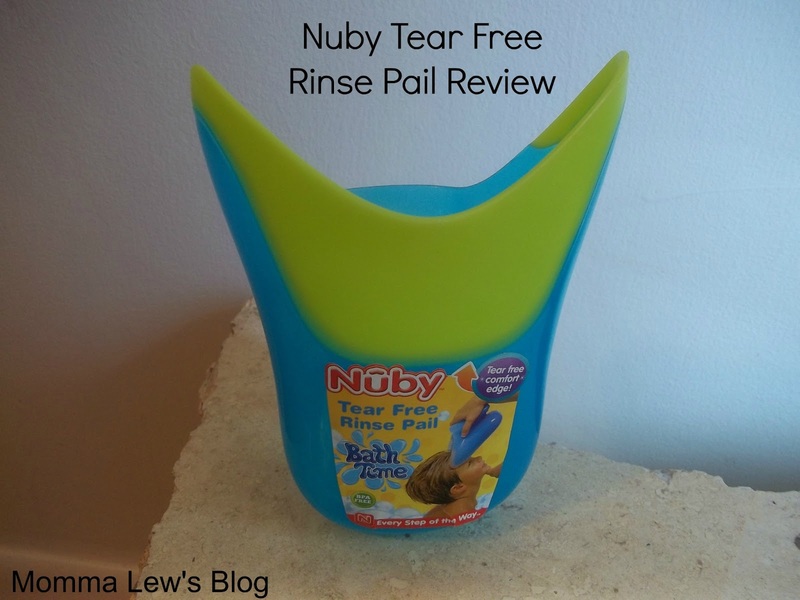 Nuby Tear Free Rinse Pail Review! 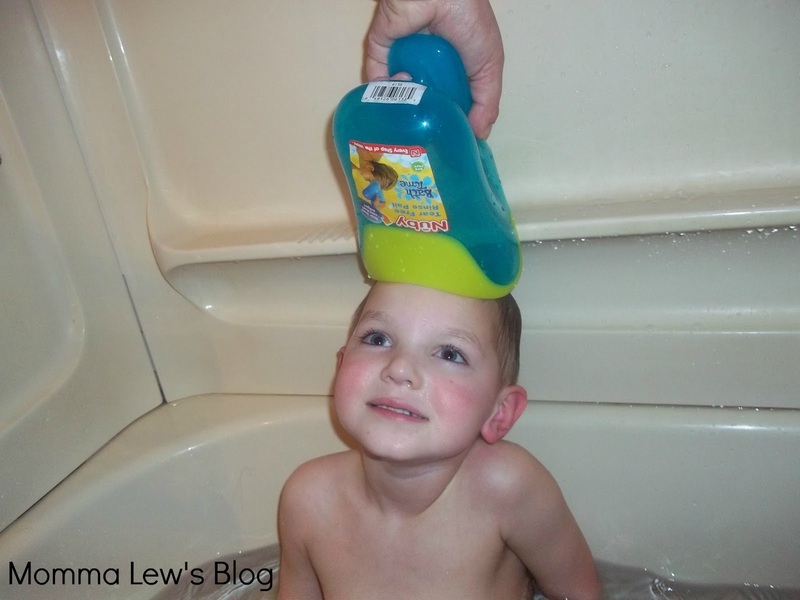 Nuby recently sent me their Tear Free Rinse Pail to review. My kids love bath time, as long as they don’t have to get washed & rinsed. Once they see me break out the body wash & shampoo, the anxiety starts. I was really excited to get to review this Rinse Pail for this reason. Of course, they didn’t believe me that this pail was made with them in mind & it was made so it didn’t get into their eyes. I love when companies take real life “mom and kid problems” and make a product to help us out! The green part of the pail sits comfortably against your child’s head and the water rinses their hair without ever hitting their eyes. And does it work? Yes, I am happy to report it does! I will say though it took a few tries to actually figure out how to properly use the rinse pail. The handle is comfortable for me too, fitting into my hand perfectly. And the rinse pail holds a good amount of water too, allowing us to finish rinsing off the kids quickly & efficiently. The kids love to play with it as a toy too! Nuby Bath Letters & Numbers Review! Previous Post: « 4/15 Open Giveaways! aawwww this is cool. I need one for my 3 year old daughter. she hates water on his face and she’d cry over it. THis would be perfect. That’s genius! I remember with my siblings we had a problem with that. My little brother really hated water on his face, I had to keep a towel right by the tub for after I washed shampoo out of his hair. He’d immediately put his hands out, and wait until I passed him the towel so he could dry off his face ;)! This would have saved me so much headache! Keeping this in mind for my little one. That is awesome! I used to just use my hand, then they kinda started to not care, so I’d just dump it right down their faces 🙂 They thought that was pretty hilarious. But I know some kids FLIP if they get water in their face! I really need one of these for my daughter, washing her hair is such a nightmare.